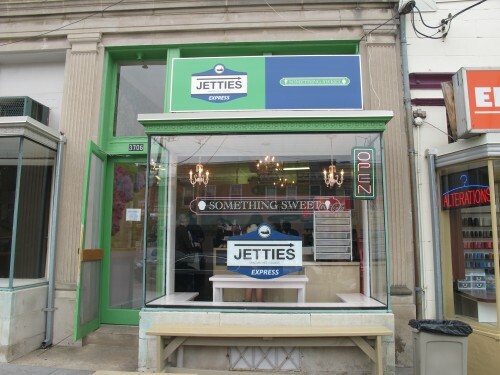 Jetties is located at 1609 Foxhall Road NW and it looks like a Jetties Express has combined with the Something Sweet ice cream shop located at 3706 Macomb Street, NW just west of Wisconsin. You can see some ridiculously good looking pictures of their sandwiches here. And you can see their full menu here.